Dalhousie:The Uttar Pradesh Special Task Force (STF) on Thursday arrested Bhim Army founder Chandrashekhar alias Rawan, after he was accused of inciting caste clashes in different areas of Uttar Pradesh's Saharanpur district. The Uttar Pradesh STF nabbed Chandrashekhar from Himachal Pradesh's Dalhousie. The Uttar Pradesh Police had announced a bounty of Rs.12,000 on Chandrashekhar. 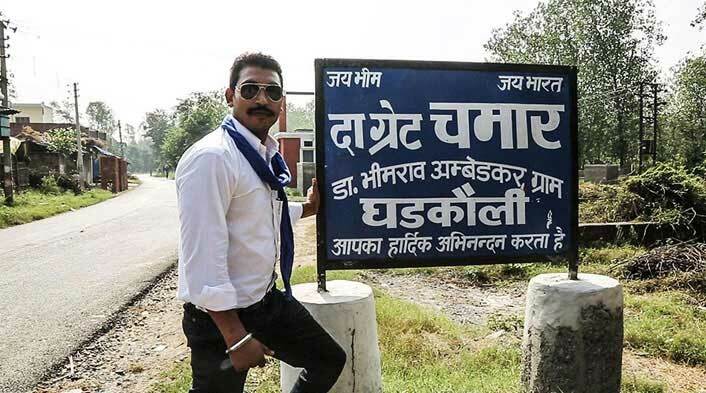 In Saharanpur, Chandrashekhar had a cult following among Dalits.